With the combination of modern layout and clean coded guaranteed, this law firm Joomla template makes sure of your potential client to visit your site. The template comes with lots of real world features to build a law firm website such as: trusted attorneys, legal news, areas of practice, blog and much more. 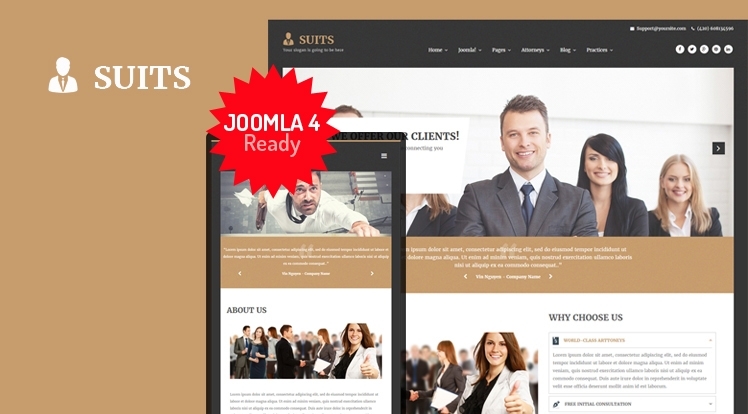 Let's explore the features of this law firm Joomla template now!